Movies made from the roleplay. A transport dirigible dropped a crate full of mirrors and books, and a magic portrait of the Queen. The portrait broke. Now its magic has escaped, causing the land to lift, and the mirrors to capture some of the recordings the portrait had made. The NeoVictorians: AsilBindle Resident, Asil Karu, Asil Serpente, GhostFacedKiller Resident, Hmmmph Stenvaag, MadMechaMessiah Resident, NataliaDArtigo Resident, and peacelynxtree Resident. This machinima documents the build created for the SLB12 Birthday celebration. Build by Fianah Mistwood; textures and machinima by Asil Ares. 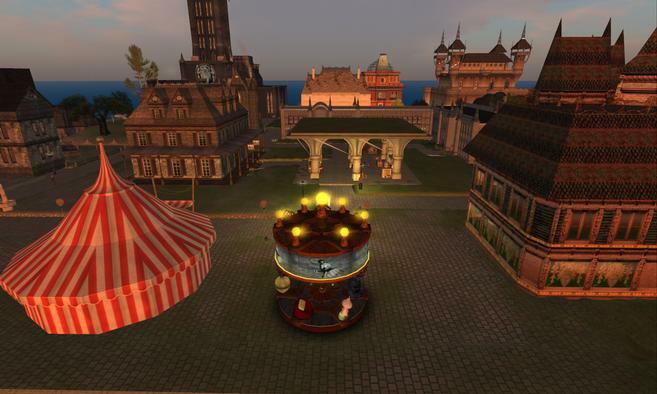 FantasyFaire2015 ended last week: it raised L$7,910,480 (US$31,642) for Relay-For-Life and the fight against cancer. It did that because people cared enough to volunteer their time to create content that drew players from all of Second Life into the SIMs. 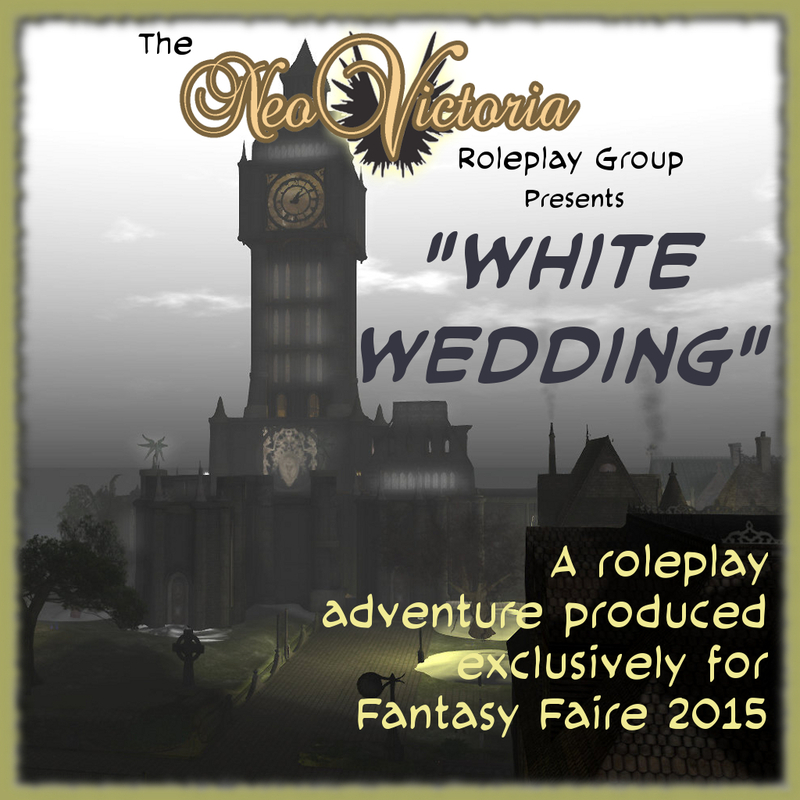 This year, NeoVictoria sponsored the Aurora SIM and produced another great roleplay cycle. We’re taking a moment to publicly thank the people in our community who worked so hard, over a very short time, to make “White Wedding” an overwhelming success! Studio Yue stayed up late too many nights, making the machinimas that tracked our roleplay in almost real-time. Watch all of them here. MadMechaMessiah Resident played multiple characters, including the Groom, often at the same time. Their final roleplay as Augustus Whitehill was simply amazing! Akasha Electricteeth developed the character of the Bride, roleplaying most of its scenes, and found the amazing skeleton-avatar we used for it! myomy Resident created a special edition of the NeoLondon Times, so we had an in-character prop to give to faire-goers during our time in Aurora. If you haven’t read it, here’s the link. Tarquin Evermore built a charming steampunk-airship as our Relay-for-Life gift. Certified Lunasea rebuilt the Second Life wiki’s chat-bot script, so we had a working chat-bot of the Bride to entertain visitors when we weren’t roleplaying in Aurora SIM. 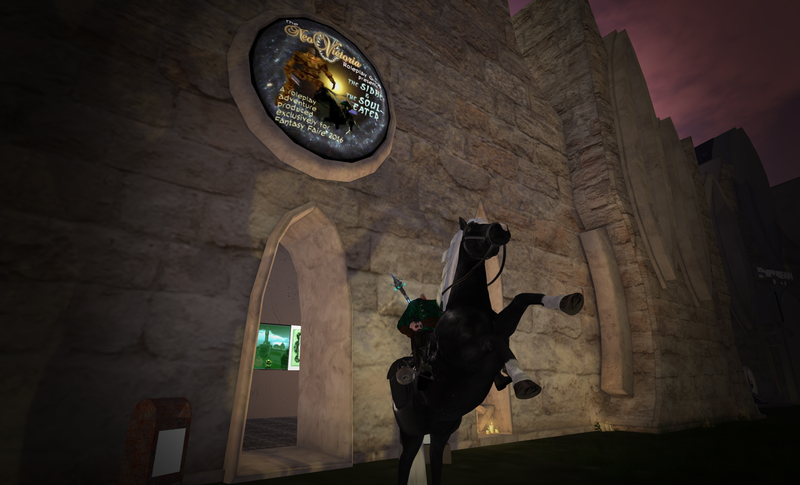 Treyhem Whitfield rezzed their steampunk-airship, the Winged Mare, so we had a great set-piece for our characters to use as their transportation to and from the fairelands. Fianah Mistwood and myomy Resident kept our events on track by keeping the roleplay order organized in the NeoVictoria Group chat; Tafiyah Ehret helped with roleplay transcripts; and Jhaesoph Foxdale was our GM at the fairelands. Tarquin Evermore as Samuel Bellamy and a stray dog. and Xiuhcohtl Balazic as Anya “Ginger” Greer. Congratulations everyone for a job well done; you make The NeoVictoria Project one of the best roleplay environment in Second Life!